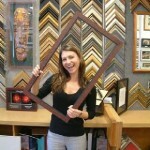 SF Framing - Your Best Source for Custom Picture Frames! | Choosing your Custom Picture Framing Material is Important! Choosing your Custom Picture Framing Material is Important! 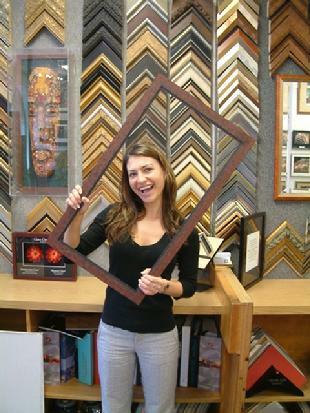 NOT All Custom Picture Frames Are Created Equal… Choose Carefully! 1. Preservation: Is the art piece you wish to frame, something that you would like to preserve for a long time? 2. Structural Integrity: Do you wish the frame to maintain its structural integrity over time (e.g. keep corners tight, etc.) despite frequent moves, sunlight exposure, etc. 3. Visual Aesthetics: What image do you wish your frame to portray? Is the color and/or texture of the frame appropriate for the environment where it will be displayed? 4. Environment: Are you interested in ensuring your frame is produced with environmentally friendly materials? 5. Health: Do you wish the frame to be free of potentially harmful chemicals which could potentially affect your household’s health? Picture frame materials can vary – choose carefully to get the best results! By choosing the most appropriate material to custom frame any piece of art, you will not only help preserve it, but you will ensure your framed art is greatly enhanced by the perfect framing material you have chosen. This entry was posted in FAQ's, Helpful Hints, Tips and tagged conservation framing, framing, framing materials, picture framing, SF Framing, sfframing.com, silicon valley, sunnyvale on May 4, 2015 by SF Framing, Sunnyvale.